Custom machine builder? You need to know about machine information systems? If you’re a custom machine builder or you're involved in custom machine design, you especially need to know about management or machine information systems. <!- BODY TEXT PREFACE --> Why? Because the world is changing. You must have noticed that more and more machines these days have computers controlling them. Whether it’s a conventional PC type computer, the usual choice for custom machine design, or a PLC. Machines being designed and built today or older used industrial machine tools being refurbished are being made to keep up with the changes in the information frontier.More and more importance is being placed on not just the function a machine carries out, but also the information this function creates. There are at least two driving reasons behind this that you the custom machine design firm should be concerned about. 1. To make the controlling system more able to cope with changes in production. 2. To enable or make easier reporting the information on the production viable even if not in place at first. There are other reasons such as reducing costs, reliability, self-diagnostics and machine protection for instance. But the two that concern us as a custom machine builder are these two. The first reason is of concern because in making the control system more able to cope with future changes of production more of the control is handled by software. 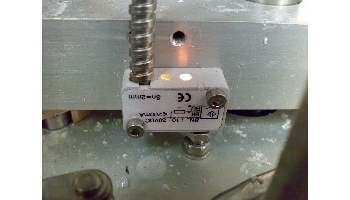 This in itself leads into the second reason as this makes it necessary for more sensors to be used. The second reason has already been preempted by the first because more sensors mean more places to tap off data from. As a custom machine builder there’s a certain amount of forethought goes into future changes. Even if you’re building a machine to an exact given specification. You wouldn’t want your machine to become redundant because of a slight change in a production line it’s involved in. This is the avenue that the custom machine builder and the used industrial machine tool refurbisher need to consider more in today’s information based world. In doing so the machines produced will stand the test of time much better and that ultimately builds good reputation. A custom machine builder is in a very good position to include information reporting into a machine design. This could also be used quite effectively as a sales point to the evolving manager base of small to medium companies. Especially when you could involve the other production machines in the system. More and more nowadays information about machines progress is required, with so many companies changing over to paperless office systems. The machine information side of this change is becoming more important in production planning. So to include it to start with, or at the very least the provision for a system to be implemented at a later stage is now being looked for within machine control systems. To provide the provision for an information system is quite an easy thing to do nowadays for a custom machine builder and even for the refurbisher of used industrial machine tools as both involve a new control system at the heart of the machine. 1. In the first instance, this could be as simple as indicating on the circuit diagram suitable connection points for all the likely signals to be utilized. 2. The next level up would be installing a connector with all the usable signals, actually within the machines control panel for a system to connect to. 3. But I think the ultimate would be to gather all relevant data within the controlling computer and provide an output point in say RS232, RS422, RS485 or maybe even USB format. This could then supply the information direct into a system. A good machine information system design would of course take all of these connection possibilities into account. If gathering data from different types of machines was to be of good use. 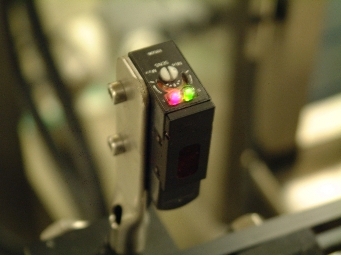 Various interface units would be needed to do this in order to cope with differing machine sensor types. This also would probably go some way to explain why a lot of the systems I have come across seem to be custom fitted to the various machines within the system. Most machines would fall into the first two options for providing a provision quite easily without hardly any additional cost to the custom machine builder. Or general machine manufacturers for that matter. CNC type machines fall into the last option of provision mentioned above as most have their own information panels, as there usually is an output connector somewhere to export the data. So are CNC machine makers ahead of their time or is it just a lucky coincidence that this provision is in place? A bit of both I’d say, none the less it’s generally there, or so I’ve found. But having said that, there’s no reason why other types of machines could not follow suit these days. This would not be a difficult thing to implement, as machines tend to use the same type of sensor (PNP or NPN) throughout. Of course this is not an out and out appeal to custom machine builder suppliers but, if you actually did make consideration for the machine/management information systems during the course of your work that would be great. Also the fact that you have made the provision there would actually be a selling point. Which machine would you rather buy - A machine that has the ability to be hooked into a machine/management information system with the connection point already in place or one with not? Yes that's easy to answer don't you think when put like that. Even if prospective purchasers haven't even considered a machine information system or don't know about such systems, It's something your rival supplier may have thought about. Please continue to look around all the other pages and find out more. There's always new pages of good information being added so have a little look-see to see what's new! You owe it to yourself as a forward thinking custom machine builder with the benefit to your customers in mind. Look at Machine Shops page. Find out what datalogging is all about here. Return from Custom Machine Builder to Home.